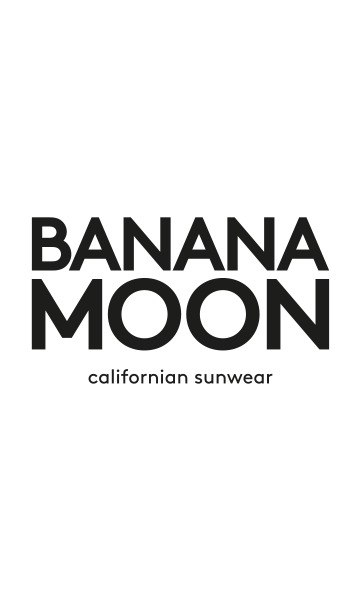 Welcome you on www.bananamoon.com (the « Website »). These Terms and Conditions exclusively apply between the Customer and the Merchant (collectively referred to as the “Parties”). By placing an order on the Website, Customer confirms that he has read and agreed to the Terms and Conditions. Merchant reserves the right to update or modify these Terms and Conditions at any time and without prior notice. Customer must regularly check the Terms and Conditions in order to be informed of relevant changes. The applicable terms and conditions are those in effect on the Website at the time the order was placed and Customer shall always review the Terms and Conditions before placing a new order. - By phone at +33 800 300 180 (International phone number). The customer warrants and represents that he/she is (i) at least 18 years old and has full and legal capacity to place an order or (ii) is authorized by a parent or a guardian to place an order on the Website. Merchant may request additional documents to show evidence of Customer’s age or valid authorization to place an order on the Website. Merchant reserves the right to refuse or cancel any order in the event Customer fails to comply with the above requirements. The content of the Website is intended solely for the personal, non-commercial use by users of the Website. Only products (the “Product(s)”) appearing online at the time the Customer visits the Website are available for sale and orders are subject to stock availability. - At the time the order is placed: the product will be marked as out of stock on the Website. - Following the order confirmation: if a Product becomes unavailable prior to delivery, the Customer will be contacted via email. If Customer already confirmed the order, he/she will be entitled to either (i) cancel the out of stock portion of the order or, (ii) cancel the order in full. The Customer shall notify Merchant within forty-eight (48) business hours from receipt of the out of stock notice if he/she wishes to (i) cancel the order in full or (ii) cancel the out of stock portion of the order and receive the partial order. If Customer fails to notify Merchant after forty-eight (48) business hours Merchant will deliver the partial order and apply shipping costs in accordance with section 2.b of this agreement. The remainder of the amount paid by Customer in connection with the out of stock Product(s) will be refunded within fourteen (14) days from notice of partial order cancellation. If Customer requests the cancellation of its order in full, the Merchant shall fully refund the Customer within fourteen (14) days from notice of order cancellation. Photographs, illustrations and descriptions of the Products are not contractually binding. Merchant shall not be liable for any error or inaccuracy in the representations of the Products on the Website. The prices are indicated in Euros (€) on the Website. Prices on Product pages do not include shipping and handling costs (the « Shipping Costs »). Shipping Costs shall be paid in addition to the Product price. Shipping Costs are specified before order confirmation and are available in the Shipping information page (available here). Prices specified on the order confirmation are inclusive of all taxes ,(including taxes applying to the delivering country). The total price specified on the order confirmation is inclusive of all shipping and handling fees and accounts potential discounts. All discounts and promo codes are valid one time per household, are limited in time, and cannot be combined with any other offer. Merchant reserves the right to review and change Product prices at any time on the Website. Products will be invoiced at the price displayed on the Website at the time the order was placed and subject to stock availability. Orders shipped outside the European Union may be subject to import taxes and/or customs duties levied by the destination country at the time the shipment reaches the delivering country. Customer will be responsible to pay any import taxes or custom duties for orders shipped outside of the European Union. Customer has access to Products available for sale at the time of the visit by (i) browsing the various Product categories, (ii) entering the name of the Products in the Search tab, or by (iii) clicking on one of the pages available in the footer, allowing a quick access to the full collection. Customer can select Products by adding them to the shopping bag and may have access to the content of his/her shopping bag at any time by clicking on the bag on the header. The bag displays the content of the order, including shipping cost, Products name and price. If the Customer wishes to add other Products, he/she can continue to browse the Website, and the selected Products will remain in the shopping bag. Customer can amend, modify, and cancel his/her order at any moment until the order is confirmed. - Filling out a form with personal information, including name, first name, email address, billing address, delivery address. After completing personal information and delivery address, Customer will be requested to select a shipping method, and then confirm the payment method. The order confirmation page displays all information related to the order on one page, including name, price and quantity of Products ordered, order total amount (including shipping cost), billing information, shipping information. - Modify his/her order by adding or removing Products. Data recorded by the Merchant constitute proof of the transaction made between Customer and Merchant. Once the order is completed, the Customer will have access to an order confirmation with all information related to the order, including the order reference. Customer will be able to save the page and print a copy. Merchant shall retain ownership of the Products until payment is received in full, including payment of shipping and handling costs. In case of payment issue, Customer will be required to return the products to the Merchant within a reasonable time. In the event the Merchant or the payment processing provider suspects fraud, the Merchant reserves the right to request, before shipment, additional information to confirm the identity of the Customer. If the Customer fails to answer within fifteen (15) days from receipt of the request , the order will be cancelled and the Merchant will promptly refund to Customer the total amount of the order. It is agreed between the Parties that emails and electronic data stored on the Website constitute proof of all the transactions and the content of the transaction made between the Parties. The Customer can have access to the electronic contract between the Parties by contacting the Customer Service and requesting all relevant information, including order number and personal information. Amount to be paid by the Customer is mentioned on the confirmation page on the Website, on the confirmation email sent by the Brand to the Customer. Customer may pay order using different payment methods. The Website uses a dedicated secured payment platform to enter payment data. Payment of orders placed on bananamoon.com/eu1 can be done by using (i) either one of the following credit or debit cards: Visa, Eurocard/MasterCard, American Express; or (ii) by using a Paypal account. Order is deemed completed once payment is reviewed and approved. Merchant reserves the right to refuse orders if (i) Merchant suspects Customer intends to resell Products, (ii) there is an on-going dispute with the Customer, (iii) partial payment of a former order is due to Merchant, (iv) transaction by credit or debit card was declined, (v) payment wasn’t made in full (vi) Customer’s use of the Website is abusive or fraudulent and/or is not in compliance with the Terms and Conditions. Once the order has been prepared, it will be shipped to the delivery address indicated on the order. Products will be delivered using the delivery method selected by the Customer. Standard and Express delivery and relay points are available. Shipping fees are available on FAQ. STANDARD orders are shipped via Chrono Inter Classic service from Chronopost. Estimated delivery is 2 to 5 business days. EXPRESS orders are shipped via Chrono Inter Express service from Chronopost. Estimated delivery is next business day (Estimated delivery for Malta is 2 business days). MONDIAL RELAY: orders may be shipped to available relay points. Estimated delivery is 4 business days. Customer’s failure to provide accurate, complete and current personal information may cause a delay or a cancellation of the order. Customer will be responsible for all additional costs incurred by replacing or resending the order. Merchant cannot be held liable for any delay or cancellation resulting from the failure to provide complete, accurate and current personal information. Merchant shall not be held liable for delays on orders when additional processing time is required. Orders will be processed and shipped within thirty (30) days from order confirmation, provided full payment of the order was made in compliance with conditions of section 1 of the Terms and Conditions. In accordance with section 5c of the Terms and Conditions Customer may cancel the order if order was not received within thirty (30) days. In the event the order was not received within thirty (30) days from confirmation Customer may cancel his/her order by notifying Customer Service. Merchant shall promptly refund Customer the full amount of the order, using the payment information provided at the time the order was placed, no later than fourteen (14) days from Customer notification of cancellation. No other compensation or damages will be payable by Merchant. In the event of a partial delivery only the portion that was not delivered can be refunded. Any delay in delivery must be promptly notified to Customer Service. The Merchant will give to the Customer the option to resend the order and will notify the Customer of the new estimated delivery time. If the Customer does not receive the second delivery, the Customer will be entitled to request a cancellation and full refund of his order. Delivery is deemed completed as soon as the order has been received at the address provided at the time of the order. Customer may track his/her order on the carrier Website with a tracking number provided by Merchant. On receipt of the order, Customer shall check the conformity of the order received. Customer shall report non-conformity or damages in the order within three (3) days from the date order was delivered. Customer shall also report the non-conformity or damage in the order to the Customer Service and provide a copy of the letter sent to the carrier. The Customer may return Products if (i) shipment was not in conformity with the order or (ii) if Customer wishes to cancel his/her order without providing any reason and under the conditions defined in section 7 of the Terms and Conditions. Products must be returned complete, together with any accessories, in perfect condition, unworn and unwashed, in its original packaging, without removing the protective strip for bottom and one pieces swimwear, and with barcode label still attached to Products. For the purpose of hygiene, all swimwear shall be tried on over underwear and with the protective strip in place. Shoes must be returned in their original packaging, which shall not be used as the shipping box. (i) Delivery form received with the order. (ii) Return form dully completed. The return form is available here. Products returned without a return form will not be accepted. Customer shall keep a proof of shipment until return has been finalized. (iii) Any promotional gift received with the order on the Website. (v) Products in their original packing and in perfect condition as defined above. Customer is responsible to comply with the procedure described above before returning the products to a return point or to the Merchant. In the event Customer fails to comply with the conditions defined in this section, return will not be accepted and Customer will keep the ownership of the Product(s) and will be responsible for the handling and shipping costs. Customer is responsible for the shipping and handling costs. Merchant shall refund the full amount of the order to the Customer . Refund will be credited back via the original method of payment no later than fourteen (14) days after Customer cancellation, provided the above conditions are fulfilled. Refund can however be delayed until all returned Products are received. For any question related to return policy, Customer shall contact Customer Service. The Customer may request a refund at any time within fifteen (15) days of receipt. Merchant shall fully refund the Customer within fourteen (14) days after Products have been returned. Refund will be made using the payment information provided at the time of the order validation. Customer will be credited back via the original method of payment. For any question related to Products return Customer can contact the Customer Service. The Customer may cancel an order at any time within fifteen (15) days of receipt, without providing any reason and at no cost except handling and shipping fees. Products must be return in compliance with section 6 of the Terms and Conditions. Merchant shall fully refund the Customer of his purchase. Refund will be credited back via the original method of payment no later than fourteen (14) days after Customer’s notice of cancellation, provided the above conditions are fulfilled. Personal data collected by the Merchant are required to allow proper processing and delivering of orders and payment. Personal data are strictly confidential, and are intended to be used by Merchant, or its service providers involved in fulfilling the order, in compliance with applicable Privacy laws. Customer may access, modify, amend or remove the collected personal data. Customer may request access to personal data to Customer Service. Customer may receive promotional emails from the Merchant. Customer may elect (i) not to receive emails at the time the order is placed or (ii) to have his/her name removed from the email list by unsubscribing in the email received or by contacting the Customer Service. The Website is using cookies. A cookie is a small file that is transferred to customer’s device and stored on the hard drive. To learn more about cookies, please read the Cookies policy page available here. All contents on the Website are the exclusive property of the Merchant. Content includes, but is not limited to, images, texts, drawings, illustrations, videos, logos, artwork, designs, trademarks, names, Website structure and classification, visual identity, database and any other material included on the Website (the "Content"). Website does not grant any ownership rights in the Content. Any partial or full reproduction, distribution, publication, modification, transfer or sell of any Content obtained from the Website, or otherwise create any content derived from the Content of the Website unless specifically authorized by the Merchant. Customer may make a copy of the Content of the Website Content for his/her sole private and personal and non-commercial use. Parties shall not be liable for failure to complete its obligations performance arising out of a Force Majeure event. The Party prevented from carrying out its obligation shall give notice to the other Party within five (5) days of the occurrence. Parties agree they will use their best efforts to complete their obligation in the event of a Force Majeure. In the event Force Majeure continues for more than one (1) month Merchant will be entitled to cancel the order, and fully refund Customer for the order. If any provision of the Terms and Conditions is deemed invalid or otherwise unenforceable, in whole or in part, in accordance with the applicable laws, that provision shall be deemed severable from and shall not affect the enforceability of the other provisions of the Terms and Conditions. The Terms and Conditions and the order confirmation sent to the Customer constitute the entire agreement between the Parties and supersede any previous agreement or undertakings between the Parties. At any time Customer is allowed to print or make a copy of the Terms and Conditions,. The applicable Terms and Conditions are available at any time on the Website under “Terms and Conditions”. The Terms and Conditions or any dispute arising out of or in connection with such matters, shall be governed by construed and interpreted in accordance with the laws of Monaco. All disputes between the Brand and the Customer, which the Parties are unable to settle amicably, are subject to the exclusive jurisdiction of Monaco courts. Trousse Prodigieuse Nuxe®: offer avalaible from the 24th of April 2019, through the 26th of May 2019. Offre available on orders over 90€ on www.bananamoon.com and upon stock availability. Use code BMLOVENUXE at checkout to get a free Nuxe® Prodigieuse Box. Not combinated with other promotional offers. In the case of a return of the order, the Nuxe® box must be returned as well (not opened). The Nuxe® box can be kept if the customer keeps products with a minimum amount of 90€. Otherwise, the cost of the Nuxe® box (18.50€) will be deducted from the total amount refunded. Subscribe to our newsletter to get 10% off on your first order.